As anyone who has been through divorce will know, separating from your partner can be an emotional journey, with a long list of financial and practical arrangements to sort. Working together amicably for a resolution is preferable, but in an atmosphere of recrimination, mistrust and doubt, cooperation often falls by the wayside. Selling family house after divorce can ensure that both parties receive a fair share of the proceeds, as well as the opportunity to start afresh in a property that isn’t indelibly associated with memories of the past. In many divorce cases, until the family home is sold both parties have no choice but to remain in the property as financial constraints make living elsewhere impossible. This can be challenging for a couple but, if children are involved, the situation can become extremely upsetting for everyone. Dreams of fresh starts may seem to be unachievable. If the local property market isn’t buoyant, be aware that there could be a considerable delay in securing an offer from a buyer and, even then, nothing is guaranteed until completion takes place a couple of months later. Putting the property in a good state of order ready for sale can be extremely challenging. It is highly likely that some repairs, even simple ones such as repainting or replacing broken accessories, will need to be completed, but agreeing how these are to be funded can be a source of disagreement. If both parties have already moved out, a house can quickly develop an uncared for appearance, potentially making it less sellable on the open market and unlikely to achieve its full value. If one person is still living in the property, the onus will fall on them to prepare the house for each viewing and they might feel justified in deserving some compensation for the time and effort involved. 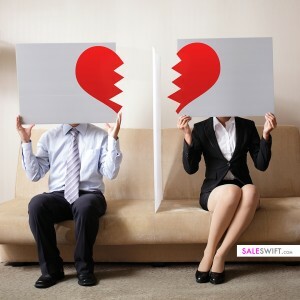 While one partner may be minded to accept a low offer just to secure the deal, there is no guarantee that the other will agree. This can be one of the most challenging stages of selling your home in a divorce. The opportunity to sell your house in the days after divorce, might be the solution to the problem. 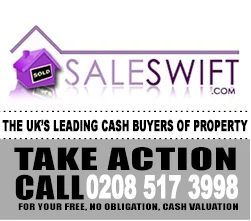 Irrespective of the condition of the property, you can Sell Your Home Quickly For Cash using Home Buyers’ services. Home Buyers deal with private house sales, which is much faster than putting your property in the open market through an estate agent. You will also avoid estate agent fees in the process. Click Here to See the Benefits Of Private House Sales ! With a guaranteed sale, you can focus your thoughts on planning the next stage of your life, leaving behind painful memories, distress and recrimination, so you can both move on and enjoy the fresh starts that you crave.